We stumbled across Zoe Fletcher on Instagram and were immediately drawn into her British sheep adventures! We had to get in touch with her to find out more. 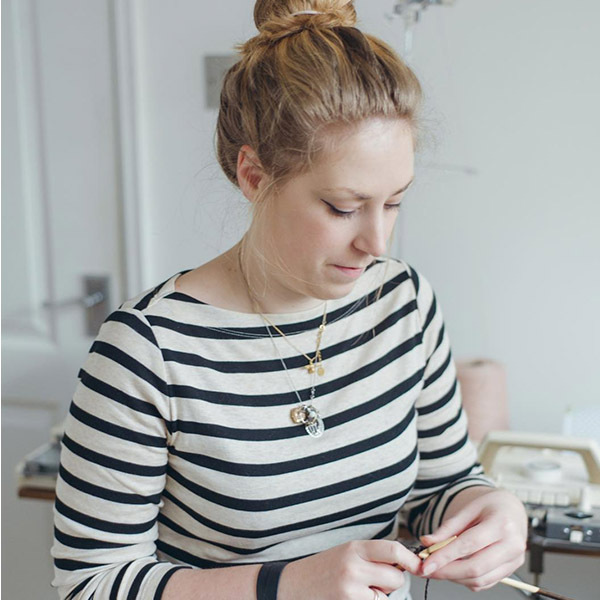 Zoe is a British wool researcher, knitwear designer and avid knitter. She recently completed a PhD where she travelled the UK collecting information on all 72 British pure breeds of sheep. This week she launched The Woolist; a designers toolkit complied from four years of research through her travels connecting with farmers, suppliers, producers, designers and makers. We are so thrilled to have been able to interview her as she launches The Woolist to find out more about her research and to gain insight into her knowledge of British sheep. Thank you Zoe! How did your interest in British wool begin? I’ve always loved making stuff (I was the kid sat in the corner quietly colouring away, or trying to recreate Blue Peter masterpieces!) My Nanna taught me to knit when I was 6 or 7, and from then on the idea of being able to make my own clothes really excited me! The questioning of what materials I was using came a little later, I studied Textile Design for Fashion at Manchester School of Art, and I became increasingly aware of how using different materials in hand and machine knitting affected my designed outcomes. I wanted to explore this further, so moved down to study for my Masters at London College of Fashion. Whilst there I focussed on finding out about the journey of my raw materials – 100% wool is great, but if I know what breed they are, where they are raised and how the fleece is processed, I can be more in control of the yarn and design outcome. I wanted to challenge myself to create a multi-purpose collection of garments sourced, dyed and knitted entirely within the UK. So I went back home and studied the Derbyshire Gritstone sheep that lived behind my parents house in Bolton. The farmer let me have a go at shearing (I wasn’t very good! ), pick some fleeces, and then I took them to be spun at a woollen mill in Yorkshire. Once I had my yarn I could then look at it’s qualities and decide how best to design it into a collection of garments. I met an amazing gardener who grew natural dye plants in Birmingham to add colour to the garments, and hand knitted them myself. You’ve got a PhD in British sheep and wool characteristics for knitwear, what did your PhD involve? My PhD title was: Designing for breed: A design-oriented toolkit for understanding purebred British wool for knitwear design. – blurb from my thesis (Zoe G Fletcher, 2018). So I set myself a challenge, I wanted to collect a sample of yarn (and fleece) from each of the 72 pure breeds. I met with local farmers, designers, knitters, crafters, mills amongst others and began to build up my collection. Whilst doing this I was getting to explore the UK, meeting people from all different pathways who were working with wool and getting to have the most interesting conversations with them on the way! I documented all these visits in sketchbooks and diaries, created hanks, labels and knitted samples, and built up a database of information on each breed. Later this was compiled and designed into fact-sheets, and tactile information, which I took to conferences, festivals and wool fairs to get feedback and build up a narrative of how wool users interact with a range of individual breeds. 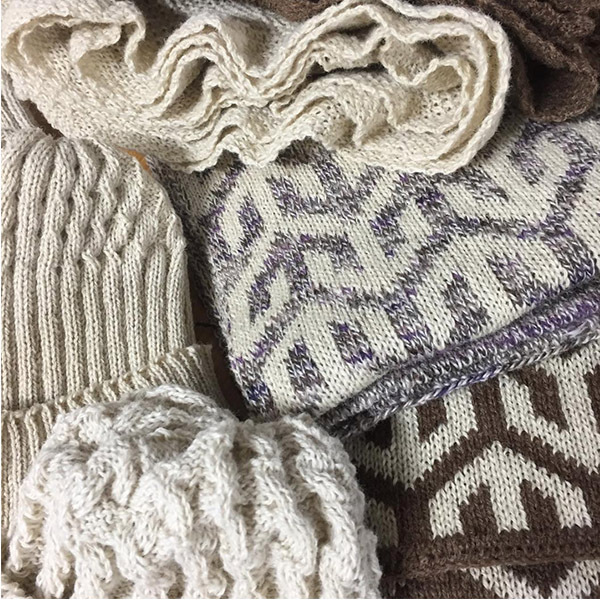 With the ultimate aim of broadening the understanding of differences between wools from individual breeds, and how this can aid knitwear designers to heighten garment functionality and aesthetics, and satisfy consumer demand for more authentic, locally traceable garments. You’ve been working on a Designer’s Tool Kit? Can you tell us more about this? People love to touch and squish wool, so I wanted to make a collection of ‘touchable facts’ that users can interact with to find out more through their fingertips. I also realised that we live in a digital world, where we more than likely search online to first discover information, so I created a practical and digital toolkit. 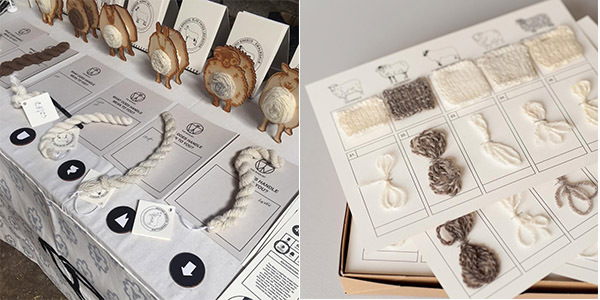 The practical toolkit includes a sample of each yarn, a knitted sample, a fact sheet, a mini-book on each breed, a wooden sheep yarn holder, and microscopic photographs of each fibre. The digital toolkit is compiled on a website at www.thewoolist.co.uk showing a digital representation of the facts, and allows users to filter the breeds for their end use and enables designers to navigate their breed selection process to narrow in on choices suitable for their purpose. Behind the research is the view that demand from designers for purebred wools can lead to systematic change in the promotion of wool in the UK, but the first step is to make designers aware how purebred wools can enhance their work, and how to make the right selection. I’m hoping the website continues to evolve and we can build an online community that connects people working with the different breeds and showing the possibilities for further experimentation. How does knowing about a breed, their fleece and their history impact knitwear design? How does it impact which yarn we choose for a project? Understanding that each breed has different fleece characteristics (like the colour, handle, fineness, staple length etc.) means that you can then design with those features in mind, for example, if you want to make a lovely soft, drapey jumper to wear next to your skin, you probably wouldn’t want to choose to make it with a Herdwick yarn, but if you wanted to make a hardwearing, durable jumper to put over a polo-neck, it would be perfect for keeping you warm and dry for years and years! Their fleece characteristics are only the first step, if you then know about the heritage of the breed, where they come from, how they have been developed, where you can find them now, which farmers keep them and why, you can start to build up a fuller picture of the impact buying and investing into a particular breed can have – be that in your local community, a heritage project, showing support for a farm using grazing techniques you approve of…the list is endless! Do you have a favourite breed? What do you love about it? I love all 72 of the British breeds (obviously!) 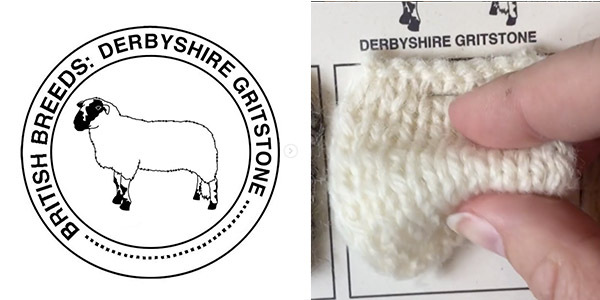 because of how different each and every one is – but I always come back to saying my favourite one is the Derbyshire Gritstone, as they were my first foray into my sheep adventure! They’ve got a lovely black and white speckled head, and spotty legs, with black toes! Their fleece is also one of the finest of the British Hill breeds – but it’s on the RBST’s rare breeds watchlist – so we need to boost it’s popularity! What would you like the future for British wool and knitwear design to look like? Vibrant! For the link between knitwear design and British wool to be strengthened and connected by designers working with different breeds, using their different fleece qualities to enhance their designs, and enabling the breeds back-story to strengthen the connection between the whole lifecycle of a garment. 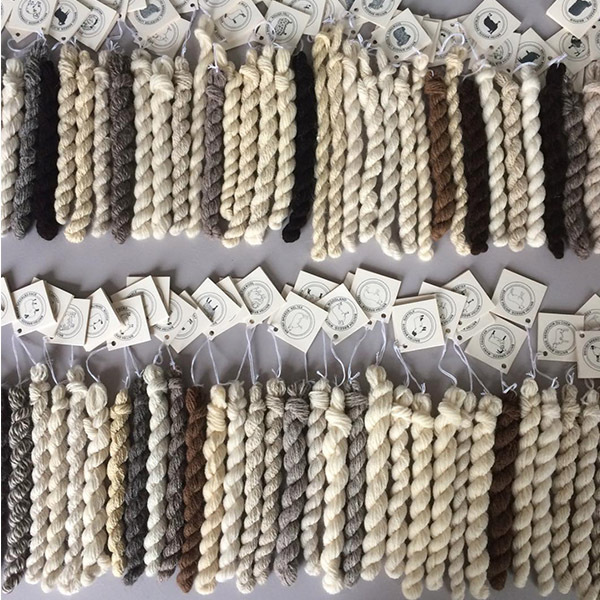 For British wool and all the British breeds – purebred and crosses to be valued as they should be – as a local, luxury, versatile fibre, which can be utilised for many different purposes. What’s on your needles at the moment? I’ve just cast on Pom Pom Mags, Durami jumper by Isabell Kraemer, but using a more wintery palette of naturally coloured brown Manx Loaghtan, some cream Romney and some black Zwartbles. I’ve also got big plans for my Dodgson Wood Castlemilk Moorit & Teeswater, which I’m just swatching with at the moment…but I think a winter snood is on the cards!